Gold is suffering under the weight of the strongest US dollar we’ve seen in years. Bullion may not be in demand at the moment, but it’s still precious judging from this fascinating graphic by Visual Capitalist of all the gold extracted last year. 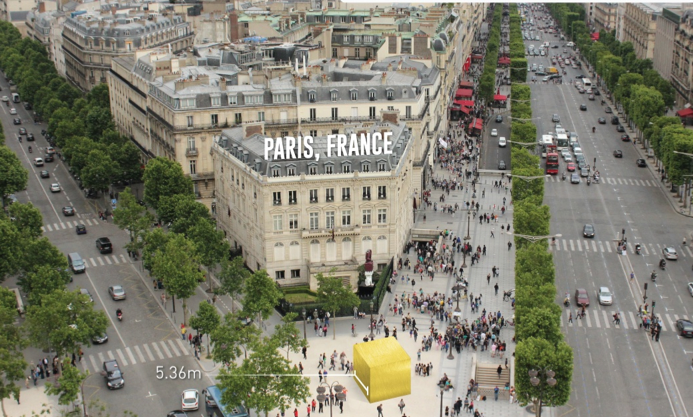 The 5.36 meter cube represents all the gold produced in the world in 2013. It amounts to 2,982 tons worth $125 billion. Check out visual representations of a year’s worth of seven other major commodity extractions (silver, oil, platinum, uranium, nickel, copper, iron) here.